Your private lecture-tour begins at the Byzantine jewel of Venice , St. Marks Church and Square. From here you experience architectural splendor of the Bell Tower - Il Campanile, Renaissance Masterpieces and a breath-taking view of the old harbor (Bacino di San Marco) from the Ponte dei Sospiri - " Bridge of Sights ". 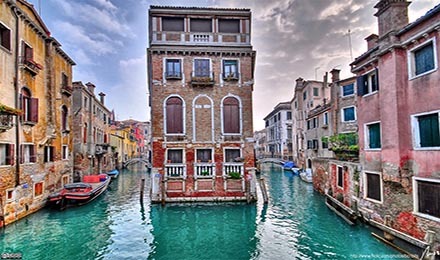 A stop at Marco Polo's House precedes you visit to the Rialto Bridge.